Employees spend most of their time in a day at the office, where they see things solely in terms of its function. With the revelations of neuroscience, social science, and behavioral science that workspace design such as space, light, and nature have a profound influence to the employees’ productivity, creativity, and more importantly, their health. We were always told that it’s what’s on the inside that counts. It’s important to remember that architecture is so often built around those who dwell inside. Therefore, design your office space Philippines with these following key elements to get the most of your employees’ creativity and productivity. There are possibilities that you might not have given the ceiling height of your office a second thought, but the distance between you and your office’s highest point can have a distinct impact on your thoughts and actions. Higher ceilings, such as those in art studios, may foster free, abstract thought processes, while lower ceilings allow for a more specific, focused view of things. In places such as a workplace, it makes sense from a design perspective to have lower ceilings where you can focus and contained your tasks. According to Wyatt, “The higher ceilings promote higher performance in conceptual thinking, while lower ceilings are better for mathematical thinking”. Therefore, it makes sense that higher ceilings would encourage extensive work such as making overarching connections while lower ceilings are optimal for focused. How far you have to walk to get from your desk to your co-worker’s desk radically transforms the way you interact with that person. When an employee sits more than 80-foot walk away from another employee, they are less likely to talk to each other which leads to a demotion of collaboration. When there are projects assigned to the said employees, they will find it hard to communicate due to the reason that they feel awkward. Encourage collaboration in your workplace because employees working in teams will turn to be more responsible and it raises their motivation level. More than that, it will get rid of the awkwardness they feel toward each other. With that being said, it is true that distance is an important element in the workplace. Having the right setting for your office space Philippines can make or break one’s work progress. Dedicating a great workspace to work is a great setup, preferably away from the road to evade the hustle and bustle of the noise pollution and distractions. When a workplace is in a good location where there is peace and free from distractions employees will become more productive because there will be no refraining on what they are doing until it’s done. Simply glancing at someone once increases the likelihood that a person will interact with that another person. But how can your employees be glancing with their co-workers if everything in your office is a plain wall? 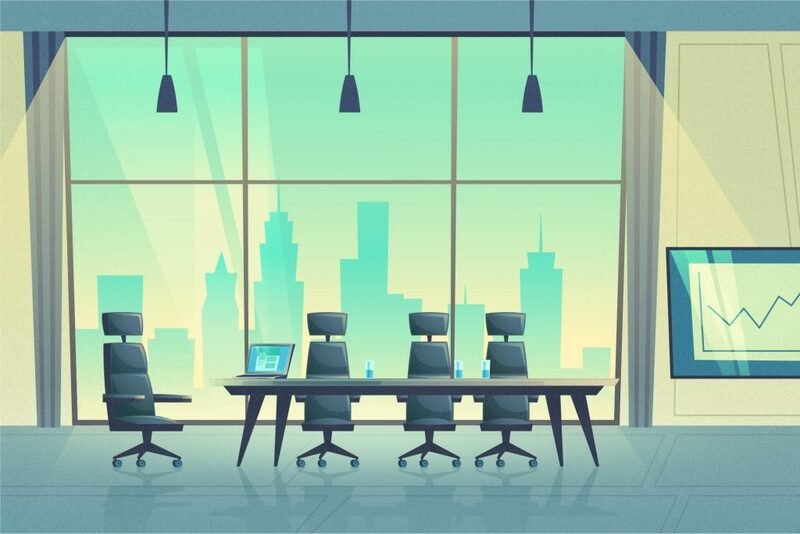 Office with no visibility appears to be suffering a noticeable decrease in interactions both within across departments after they are moved from an open environment to a closed environment. Without interactions within your employees could result to a decrease in communication within the department which leads to no collaboration at all. And without collaboration, they find it hard to work as a team reaching one goal because they feel awkward with each other. The outside of a building also plays a part in affecting emotional responses. How a building looks can have a psychological impact even at the most basic level; if something looks good, it will likely make us happy. Conversely, a poorly-designed building will have the opposite effect. It can go deeper than that, however. A complex façade is likely to be appreciated, but something comparatively monotonous can be particularly negative to some. Something imposing and featureless, such as a skyscraper or a block of flats, could well cause stress. At least that’s what environmental psychologist Colin Ellard found when he conducted a study on this intriguing curio. Commuters were found to hurry past areas where monolithic, austere buildings dominated. The cumulative effects of being around buildings such as these, particularly for those who live in close vicinity can be very damaging, too. Oppressively dull environments can actually generate stress and impulsive, risky behavior. Nowadays offices are using modern building which is becoming more sterile in design and is no longer incorporate as many elements of nature as before; everything is a plain white wall, and natural daylight being replaced by artificial lighting. This is why Biophilic Office Design—in your office space Philippines has become an increasing focus for interior designers, and this is due to lean toward urban living. This is because offices with incorporating biophilic design can have a positive effect on a human’s productivity, mood, and health. Salary and employee benefits aren’t the only drawing cards anymore; prospective employees desire a workplace they enjoy going to every day. In fact, one-third people of deem office design as an important factor involved in the decision to work somewhere. 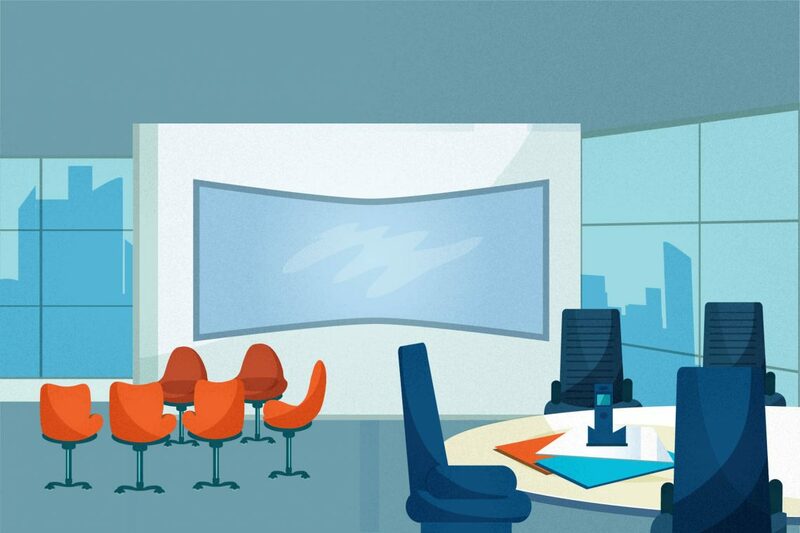 So, as an organization, consider making changes to your office design. If you considerably wanted to add touches of nature to your office space, here are the few key areas to focus on. Tone/Texture— Use wood grains, concrete, and brick with different sizes. Distractions hinder creative thinking and noise is a common form of distractions and it disrupts concentration. Noise can impact the brain and lowers the productivity of an individual. It is because the disturbance of noise can make the brain’s ability to control information limited. But there are also few studies indicating that low productivity may not be because of noise but from interruption. Maybe it is not the noise but who is making the noise itself. Either way, there is a form of noise that is easy to tune out allowing your productivity to increase. For example, listening to music. Listening to your favorite tunes limits the interruptions and improves your mood that causes your creativity level soars. Intuitively, we all know that light is important. A workplace that is lit changes our feelings and emotions too; bright lights, for example, heighten the way we feel in both a positive and negative manner. Consider the hue lighting too. Slightly blue lights can make us feel more energetic and alert, allowing us to complete tasks quickly and more accurate, even after exposure to such a color has ended. These days, bright artificial lighting has become a staple in modern offices, but it doesn’t mean it’s the best option for a workplace. It actually brings a very negative effect on your well-being, with harsh fluorescent lighting causing eye strains and headaches. Studies have also found that employees who work in artificial light will feel more tired at the end of the working day. 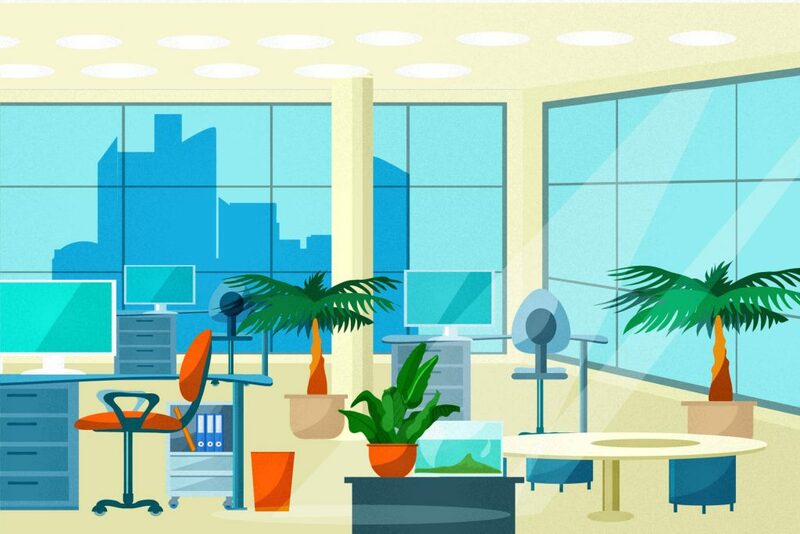 Natural lighting in the workplace is highly recommended because it has many benefits. Workplaces that allow natural sunlight to flow in have shown to have a more positive effect on a worker’s sense of well-being than those without windows. Exposure to natural light increases the desire to work more. It promotes sleep at night and helps with our body’s natural circadian rhythms so that we know when to feel alert and energetic and when to wind down in the evening. It is true that the environment has a significant effect on our mental state that even the position and direction lighting serves to evoke a mood or feeling. Lighting above eye level creates a more formal atmosphere, while position eye level lessens formality and creates a sense of individual importance. Lighting on the walls and ceiling emphasizes the spaciousness of the office, while the lower level of lighting, accented by darker areas free from light invokes privacy. Your office space Philippines should be constructed in a way that uses space to its advantage. You should ensure that the layout of your office does not mean workers to be cramped together. On top of that, try to think ahead. What if there will be sudden growth in your business and you will need to expand your office? What are you going to do if there’s no extra space? Where are you going to put the additional personnel and furniture if your office lacks space? In order for you to avoid these problems, you should free up extra space in your office especially if you are aiming to grow your business.